Children benefit tremendously from early-phase treatment. Receiving early treatment may reduce the need for removal of permanent teeth later in life, or the need for surgical procedures to realign the jaws. At the end of the first phase of treatment, teeth are not in their final positions. This will be determined and accomplished in the second phase of treatment. Selective removal of certain primary (baby) teeth may be in the best interest of enhancing eruption during this resting phase. Therefore, periodic recall appointments for observation are necessary, usually on a 4-6 month basis. 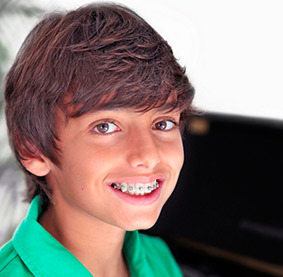 At the beginning of the first phase, orthodontic records were made and a diagnosis and treatment plan was established. Certain types of appliances were used in the first phase to correct and realign the teeth and jaw. The second phase begins when all permanent teeth have erupted, and usually requires braces on all the teeth for an average of 12-18 months. Retainers are worn after this phase to ensure you retain your beautiful smile.